Update: Video overview is posted online! Make sure to check it out! The Frostbite Gaming Cube is an appropriately named 1080p gaming machine that should operate around 300-400W. She’ll run cool, quiet, and play most of your games at high settings on 1080p while also allowing for the ability to upgrade to higher wattage systems (liquid cooling compatible case) for more demanding computing needs. The post is long, but I hope you like the build as a whole and the bonus RGB LED light strip at the end ;). Not only does Intel excel at power usage over AMD, NVIDIA also has the upper hand on power-to-performance ratios versus AMD's discrete GPUs. When comparing a GTX 970 to an R9 290x, we see the 970 pull about 175W versus 250W for the 290x, with comparable performance. (Tom's Hardware Temp Charts). Arguments can be made for or against Intel, NVIDIA, and AMD, but the fact of the matter is that we can build computers with notably lower thermal design powers (TDPs) by using an NVIDIA/Intel combo. So, going forward, let's put all fanboyism aside, and focus on the criterion listed above. It's absolutely possible to make a 1080p gaming machine for around $750, but I wanted a great 1080p gaming machine that’s also power efficient, hence the $1000 budget. I'm absolutely uninterested in 4K at the moment and would rather have a glorious experience at full HD for the next few years. Let’s get to the part picks and justifications. When selecting a case for a mini-ITX build, there are more options than ever. There are some really slick cases out there, but I’d really rather stay away from the pricier ones. This won’t be a ‘designer’ custom build, but it should still look good. While the ‘coolest’ looking cases out there go easily for $200+, I tend to try and keep my case prices below $75. While I do like my PC to look nice, a $1000 build doesn’t leave a whole lot of room to go crazy on aesthetics. After looking through some of the mini-ITX cases available, I decided to go for the Thermaltake Core V1 Snow Edition. I was amazed at the feature set it comes with for only around $55. The Core V1 comes with interchangeable side panels, a side window, quiet 200mm fan at the front, and respectable video card length support at 260mm. This case even supports 120mm or 140mm radiators for liquid cooling, and the large 200mm fan in front allows you to set up a push-pull configuration. We won’t be doing liquid cooling here, but it’s nice to know that if you ever get the itch to throw in a K-series processor for some overclocking, you can keep the system running cool by also upgrading the CPU cooler to liquid. 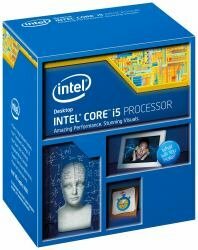 I chose the i5-4590S because of its superb TDP at 65W. Even though it's over double the price ($205) of the FX-6300 ($105), the i5-4590S performs better at a much lower TDP (65W vs 95W) and has a much more updated CPU architecture than the aging FX-6300. The i5-4590S has an average CPU Mark score of 7,015 while the FX-6300 averages at 6,343 (Passmark CPU Charts). In fact, the i5-4590s outperforms AMDs FX-6350, which averages 7,015. Of course, Passmark’s benchmark doesn’t really translate to differences in gaming, but a quick YouTube search of CPU comparisons will show that the differences in gaming are negligible anyway. Really, any i5 S-series variant will do just fine. The 4570S, 4590S, or 4670S are all rated at 65W TDP, the 4570S scores 6,623 CPU Marks at the low end of these three and the 4590s scores 7,015 CPU Marks at the high end. The low TDP helps to keep the whole system running cooler, resulting in lower fan speeds for quieter operation, and the PSU can be sized smaller allowing it run at its highest rated operating point, which is typically 50% for most PSUs. I just wouldn’t feel comfortable putting an AMD processor in an ITX build, because I’m going to be stringent on heat dissipation given that the GTX 970 will already be warming up things quite a bit on its own anyway. Before anyone says ,”But 133t haxor gaming rigs need at least an i7-4770k for n00b pwning action!”, please read this article. Not much to say here except that I simply need an affordable and highly respected air cooler that has a lower profile to fit in the mini ITX case (Cooler height max of 140mm/5.51in). Because the TDP of the i5 S-series is so low, we needn’t worry about liquid cooling, even though the Thermaltake Core V1 allows for it. The ARCTIC Freezer 7 Pro Rev.2 is a tried and true air cooler at only ~$20, and it will do a fine job at keeping temps low on an already cool running CPU. 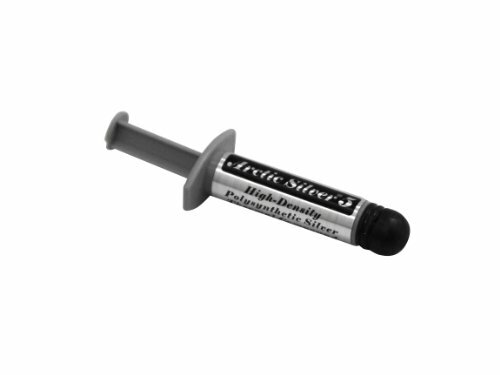 Artic Silver 5. No surprises here. Originally, I chose an Asus GTX 960 Strix for this build, but then I felt like I might be able to spring for a GTX 970 to really solidify this build as a contender for a truly superb 1080p60 gaming machine. Then, I laid eyes on the Asus GTX 970 Turbo. Actually, this graphic card was the tipping point for me to revamp this build and start calling it ‘Frostbite’. I’ve never built a white color-scheme based build. As I said in the introduction, the GTX 970s tend to consume about 75W less during gaming compared to the R9 290/290x cards. This is desirable, of course, because a purely AMD build would increase the TDP of my system from around 275W to 415W. Yikes. (I’m a huge fan of AMD, don’t get me wrong). *Note: The Asus GTX 970 Turbo, and likely other 970 cards, tend to be long. If you don’t get a mini version of the 970, Thermaltake’s Core V1 description says that beyond 250mm, some drive bays may be blocked. However, this doesn’t matter for the Frostbite build given that I’m only using one large capacity SSD. I love picking out power supplies! I’m an electrical engineer, and my interest has always been in power and efficiency, so I love spending hours reading up on power supply reviews, load regulation charts, efficiency measurements, etc. I’m also a sucker for a great deal, and the nature of the PSU market allows for deep discounts on some great PSUs almost every week. Therefore, the PSU I have listed here is merely a placeholder. The price will likely fluctuate as various merchants discount this PSU, but it’s really only serving as a guide. 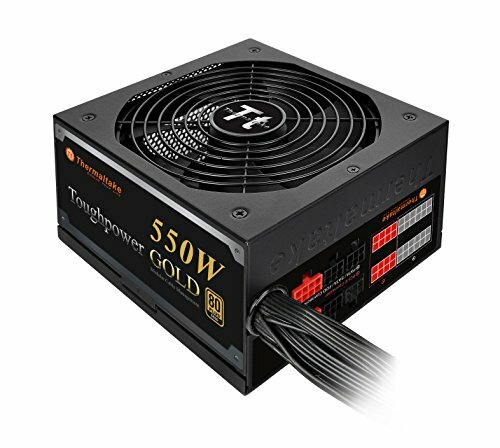 To fit the theme of efficiency in this build, I wanted to select an 80 PLUS Gold rated PSU. Not only that, I also kept in mind the total power requirements of the whole build, which will be around 300-400W. PSUs operate most efficiently typically around 40-50% of their rated max load, so that means we can expect an 80 PLUS Gold 550-750W PSU to operate at ~90-92% efficiency. Remember, an 850W+ PSU will begin to operate less efficiently on smaller loads just like a <500W PSU will operate less efficiently on loads nearing its max rating. We want to operate the Mini Power Cube at highest efficiency, so keep your PSU selection to 550-750W at 80 PLUS gold. Oh. And choose at least a semi-modular PSU. There’s not going to be much room in this case, and we want as much airflow as possible. If you really want to follow my complete build, I would consider modding the PSU case by painting it white, or better yet, red. Maybe I’ll throw up an Instructable some time, but just remember that you’ll void your warranty. Don’t say I didn’t warn you/I’m releasing myself of all liability if you screw it up :D.
For the sake of size, a motherboard with bluetooth and wireless connectivity built-in was highly desired, considering that this is a mini-ITX build. No overclocking here, so I can save some money by going with a regular desktop grade chipset. The ASRock H97M-ITX/AC Mini ITX is a perfect board, priced below $75 and packed with features that we expect to be standard nowadays. RAM speeds up to 1600MHz are supported, which is standard and just fine given that most real-world differences between 1600MHz and 2400MHz RAM speeds are statistically insignificant during gaming. 16 GB of supported RAM is great, considering that 2016 PC games will likely start recommending 12 GB anyway. Note: I’m pretty sure this board will need an immediate BIOS update over LAN to support Windows 10 and the Haswell refresh, if I’m not mistaken. This is sort of a no-brainer. I really just wanted a solid pair of 8 GB sticks to max out the RAM capacity of the MOBO for 'future-proofing'. 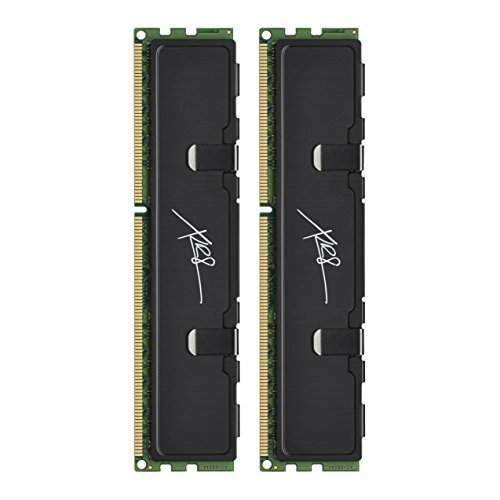 DDR3 RAM is so cheap anyway; I remember when 4 GB of DDR3 was nearly $200...so I’m pumped to be getting 16GB for $70. I found a great deal on some V-Color sticks of RAM, and I've been satisfied with them! For storage, I thought about going the widely popular route of selecting an SSD for boot drive and HDD for media/games. This is fine, but not totally fitting within the theme of a small quiet build. I’m really nitpicking here, but I’d rather not hear a spinning/ticking HDD, and SSDs are so cheap now that we might as well spring for at least a 480GB drive. Of course, SSDs are always going on sale, so just keep an eye out for a steal. The Samsung 850 series drives are incredibly popular (UserBenchmark.com), but keep an eye out for sales/clearance on any of the top 5 or so SSDs listed at that link. GASP! A PC build list that actually includes an operating system in the budget?? Yes. I, and likely many others, am constantly annoyed by seeing a seemingly incredible PC build for a great price only to realize that I need to shell out another $100 for an OS. So, I built this into the budget of the $1000 build to help keep surprises down to a minimum. Regardless of your feelings about Windows 10, I threw in a 64-bit version of Windows 10 Home OEM. We all like bonuses, and no build is complete without considering what pretty colors our PCs must glow. I don’t like being restricted to only one color, so this build also includes a (Satechi 2x 12” Flexible RGB LED strips) to give the innards of this PC some life. Obviously the color theme for this build is red and white, so I’ll probably be using those two colors myself. I’ll also likely modify the bottom of the case to allow for placement of the second LED strip underneath the case for a nice ‘underglow’ affect to complement the ‘innerglow’ of the other. Ah, thank you! I was looking at the FX-8350, oops! what a beauty and beast! Definitely love it! User Faizan posted a great Skylake based build that was only about $100 more than this one. Unfortunately, that would put it out of the $1000 +/- $50 budget range, but if people can swing that little extra bit, it might be worth it! Thanks Faizan! User Wcschuyler commented, "very nice but confused on your air flow." Thanks for the comment, and air flows in a roughly positive pressure scheme here. The majority of air intake is induced by the large front 200mm fan while the GPU pulls air in from the left side of the case, as well as the right side interior, and the PSU pulls air in from the underside. The GPU is blower style, so it exhausts air out the rear of the case along with the CPU and PSU exhaust. It makes a little more sense when viewing my video overview linked in the description at the top! Thanks for the comment! User imapie4688 commented, "This ingeniously built PC will even do Normal settings 1440p." Very true! I'm realizing more and more that this machine is more powerful than I initially intended. I have yet to encounter a 1080p game that runs consistently lower than 60 FPS :D Thanks for the comment! User Ropota commented, "nice build. I heard that 970 gets pretty loud. Louder than a reference 970. Is that true?" Yes, and no. Most of the time, the fan makes a strange buzzing noise that is not the usuall 'whooshing' sound of a high RPM fan. The buzzing seems to vary in loudness over the range of RPMs, but it's not terrible. It is, however, louder than other GPUs. Thankfully, there are guides out there to tweak the firmware and enable fanless operation when you're just browsing the internet or doing near-idle computing tasks. I'll make sure to upload a video of that soon to my YouTube channel :D I suspect that enabling fanless operation up to 60 degrees C will allow for almost complete silent operation for low power computing tasks. There is so much air flow in this case, it's ridiculous, by far the most free breathing build I've made yet. User Faizan asked, "How big really is that case? Nothing in the pictures to compare it to! Great build, though! +1." Thanks! The case is actually very small! I'll post a picture here soon of it sitting on a typical brown metal folding chair. It'll surprise you with how small it is! User Bee66 commented, "Just one question, what is the height of that graphics card? from motherboard PCI to the top. Thanks!" The graphics card height, minus the male PCI connector, is 4 1/4", but make sure to allow more room for the 8-pin PCI connector. I allowed for 5", considering that. Thanks for the comment! A special thanks to all others who supported this build with kind words and votes when it was first uploaded. Thank you to Stuart_Munto, Godzlegend1, aceventtura, Ropota, JuniorVid, EdInk, McNoobster, Elias7235, blaze1234567890, and Dr.Bomber. Really love this pc im building one in the same case and i love this case.Does anyone have any recommendations for lighting in the pc or easy any easy ways. Thanks! This case is fantastic for the Mini-ITX form factor. If you like the lighting options shown here and in my video, $30 is hard to beat for a remote controlled 2x 12" LED RGB strips. The tape backing that comes with the Satechi LEDs is 3M branded, so it sticks really well. Logisys has some nice offerings for remote controlled RGB LEDs, as well, on Amazon. I think the Logisys ones will strobe a single color, which the Satechi do not do. How do you like that mother board. I play lots of games and wanted to build a LAN pc. Any suggestions on parts and etc. I really do like the motherboard, although there have been mixed reviews on Newegg. It hit the sweet spot for feature set, form factor, and price for me, so I was willing to take a gamble on it. If you're planning on overclocking, though, you'll need to look elsewhere. This chipset doesn't support that, but overclocking is less and less important in gaming now anyway (minus the exceptions like Metro: Last Light, and other CPU heavy games). Oh, well the RGB LED strips I'm using here are really simple to use, just like the LOGISYS branded ones. There's a small controller box, about the same size as the old cold cathode ray inverters for case lighting, and it's simply powered by one 4-pin molex connector. There's a simple wire connecting to the LED strip itself and then an infrared receiver for the remote. Does the case have lots of cable management options or is it hard to hide all the cables?? What kind of processor are you looking to get? Are you looking to overclock? One more do the stand offs come already attached to the case?? Yep! There are little raised platforms to screw into. Also, my fortune - telling brain tells me that this is going to be featured! Great job! Nice. I'm pretty sure that's the field I want to go into. I know the whole "I wanted 80+gold/modular blah blah blah, but were there any other motives behind picking that power supply? Thanks! EE is where it's at ;D. Well, beyond the 80+ gold and modular stuff...no not really lol. I would've gone with a white PSU, but those are incredibly rare, so I would have to mod this existing one. I liked that it has a single 12V rail, which is nice for the possibility that I would ever load it up. Split rails usually aren't that big of a deal, but it's just a personal preference to have one. Thermaltake PSUs are generally made with high quality components, and it's a brand that I trust. Check out this site for some information on PSU tier ranking. Beyond that, the price was right at the time, so I could've easily gone for another PSU if this one wasn't on sale at the time that I bulk purchased everything. The majority of Thermaltake products are crap honestly. They have some nice stuff, but their names are so confusing so it's hard to find a good product from the sometimes. I don't use that list. It's a popular list but has tons of flaws. this is a better list. Not really a list but you can find a place where a power supply is reviewed and make your decision based on that. Reviews from PROFESSIONALS is the way to go for power supply making decisions. Very cool, thanks for sharing! I really like the reviews over at HardwareSecrets, as well. They do some really extensive testing! Hey waleismer, nice looking build. Great pictures and choice on parts. +1 from me. Thanks! Sorry, what was the question? Are you wondering why I chose Intel/NVIDIA over and AMD system? btw, what kind of camera did you use for your pictures? Oh! Hahaha, yeah, PCPartPicker admins must be AMD fanatics XD. The camera I used is on loan from a family member; it's a Nikon D7000 using a 50mm lens. Hey there, I'm planning a similar build and I'm just debating on whether I should get a blower style GPU or not with this case. Would you mind posting your CPU and GPU temps under load? Much appreciated. Sorry for the late reply, I've been busy with moving to a new place this past week. You could honestly go with any style GPU you wanted, given that you keep the open grating panel installed on the GPU side of the case. If you try and put the clear side panel over the GPU, you would severely impede fresh air availability to any GPU excepting a dual-blower style GPU like this ASUS Turbo that pulls fresh air in from both sides of the card. Such a clean build! Great Job! So i watched the video you have linked here because i just built a system with the same CPU and Case. Is your CPU cooler blowing air towards the front of the case back at the 200mm fan in the front? This is definately going to make an odd hot area between the cooler and the front fan. The hot air from the cpu and the cold air from the 200mm cant go up so it has to go out. Your pushing hot air from the CPU cooler into the intake of the GPU. I recommend spinning it around and exhausting the CPU cooler out the back of the case so that there is a clean flow of air from the front of the case and to the rear. Cold air in from 200mm that will be fed into the GPU fan and CPU fan and hot air out the back. So guddddddddddd. I want a small PC just like this but without a gpu. I'll get that next month. Is there space for a 1TB HD if there is no GPU? If there is can i just use my 1TB in the case then next month when i get my GPU i'll get 1/2 SSDs as well? Also is this air flow thing gonna be a problem? If so can you explain it to me so i know exactly what to do when i'm building this? Nice, I got the same case but in black. This is bloody amazing, i was gonna custom select my own parts, but this has blown me away! I am definitely gonna buy the parts for this, maybe with some other parts. Your vid really showed me what a beast of design this is. One Up! oh man! I don't know where to begin! Just beautiful man! What a great build. Good RGB, Great specs, Amazing case, and a consistent color scheme. The only minor issue I see is cable Management, but I understand it is hard in a Mini Itx case so its all good. Great and creative build +1. Awesome, thanks! It did not come with the LED strips; I bought them separately from Amazon, and they're made by a company called Satechi. The RGB strips should be listed on the build components section as a 'custom part'. Oh really? I've seen multiple benchmarks that say the difference in FPS for various mid to high end CPUs is largely not noticeable. What kinds of benchmarks are you referencing? I would bet money on an i5 + 970 outgaming an i7 + 960 anyday. Gaming bottlenecks are heavily dependent upon GPU performance, not CPU, although some games, like Metro: Last Light, may be more CPU dependent than others.